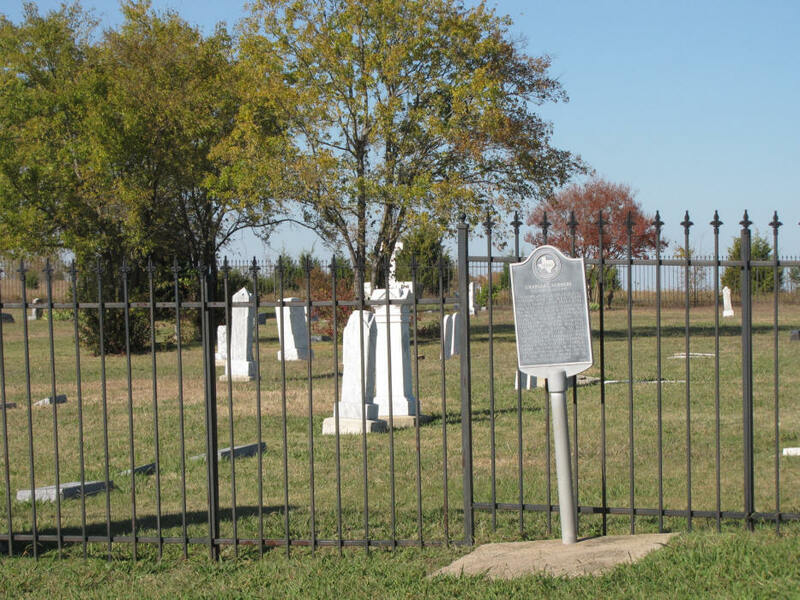 This cemetery is fenced with a 4-foot chain-link fence with a gate. Several of the stones could use some maintenance. A large altar is at the back of the cemetery. There seems to be an old and a new section. The cemetery is well maintained. 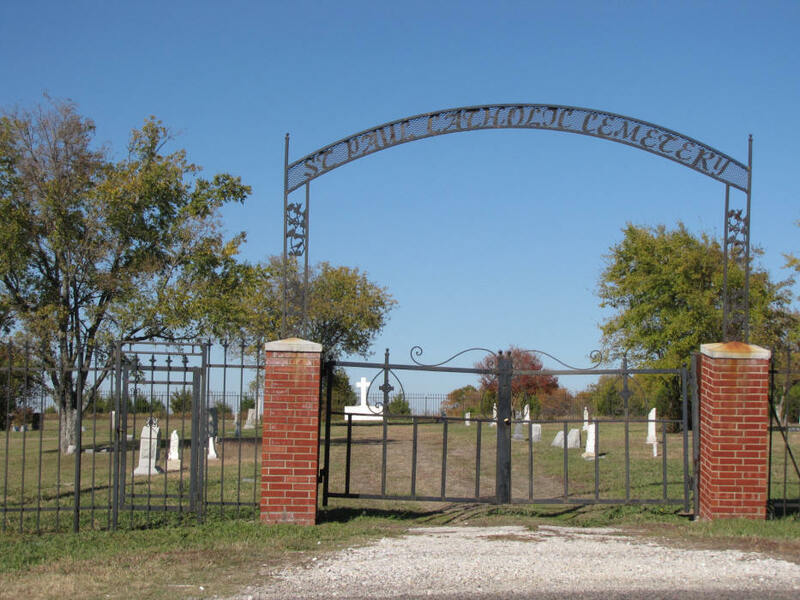 The deed is listed in Vol T, p 169, under the name of Catholic Cemetery and is for 2 acres. The western section is active. The eastern section is the old section and is considered full. There is a historical marker for Charles C. Stibbens, who is buried here. He is the only veteran of the Battle of San Jacinto buried in Collin County. An Irish community was settled here around 1857. They started a Catholic church, which became the St. Paul diocese. The church was the first Catholic church north of San Antonio. When the community tried to start a post office, they suggested St. Paul as the name of the community. They were informed that a St. Paul post office already existed. The community became known as Dump because the mailman just dumped the mail there. Eventually the church moved to Wylie and changed its name to St. Anthony's. The St. Paul Diocese now includes Dallas. St. Paul's Hospital in Dallas is part of it. The diocese maintains the cemetery.